Grate, serve and store in this handy cheese grate & shake—saving prep time, extra dishes and messy cleanup! Designed to quickly and easily grate and serve your favorite toppings directly onto food, this cheese grater lets you shake freshly grated parmesan, chocolate or nuts right from its clear storage/shaker cup. The stainless steel blade ensures fast, precise grating, delivering right into a clear 1-cup container with measurement markers to help you easily identify contents and quantity. Plastic cup features small and large pouring options, plus an easy open/close shaker cap. Simply close the kitchen grater and store unused food in the fridge, so it’s ready when needed again. Top-rack dishwasher safe. 6 1/2″ long x 4″ wide. 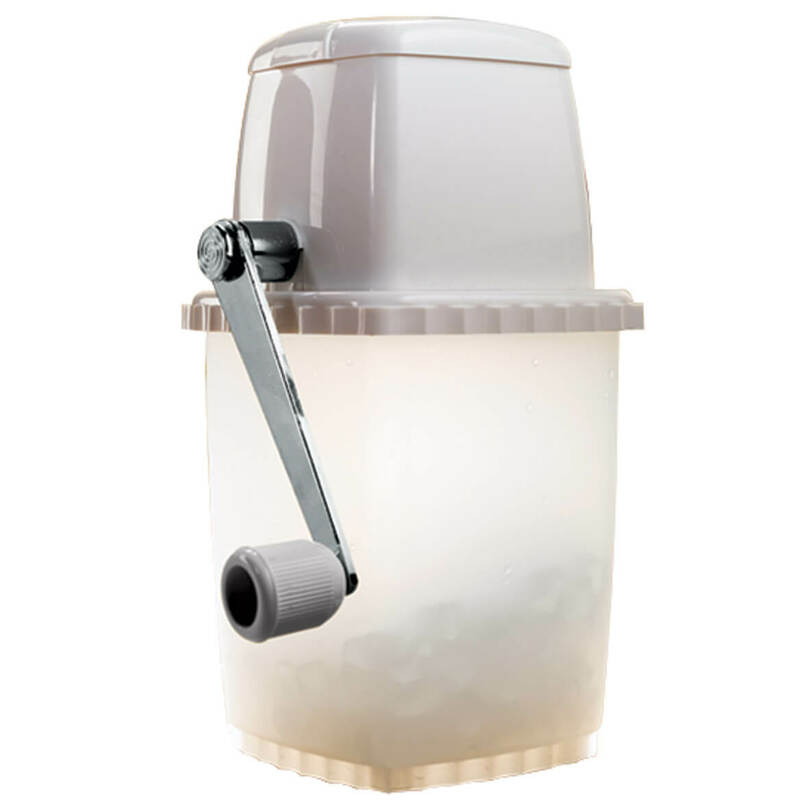 Enjoy crushed ice anywhere with this quick, easy, on-the-go portable ice crusher. Simply turn the hand crank for fine or coarse grinding, then use the plastic base for easy serving. This hand ice crusher comes with seven stainless steel blades and non-skid rubber feet. Dishwasher safe. Countertop ice crusher is 9 1/2″ high with 4″ square base. 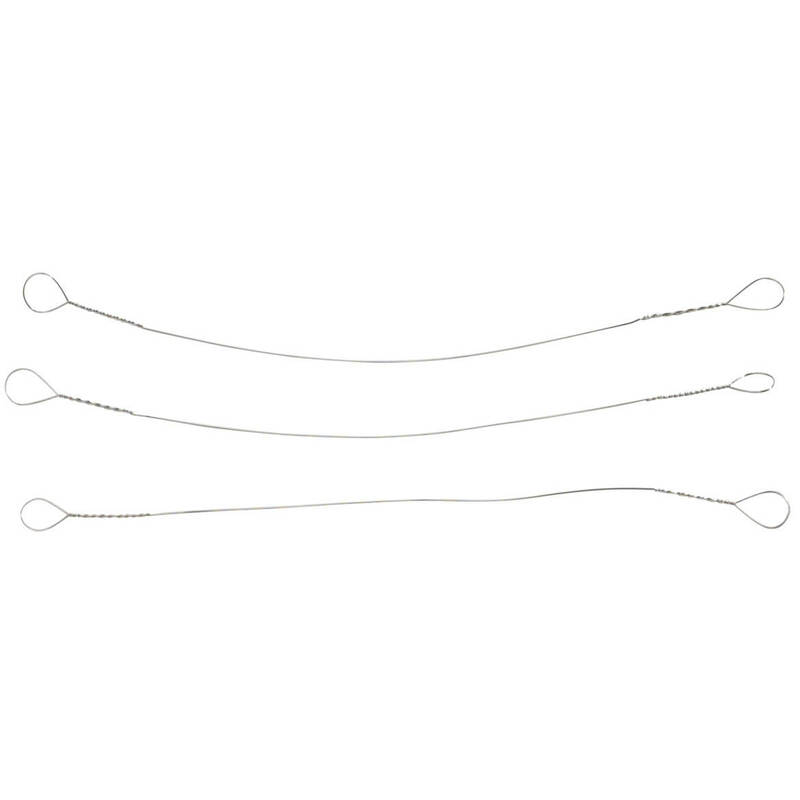 Set of 3 cheese slicer replacement wires are designed to fit our elegant marble cheese slicer. Stainless steel. 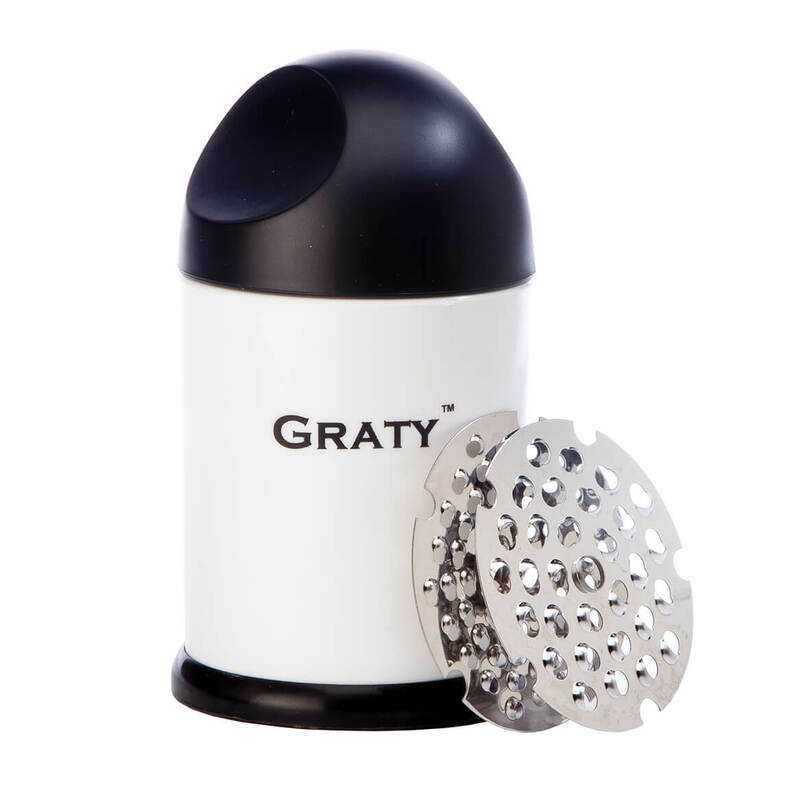 Graty™ Gourmet Cheese Grater makes quick, easy work of grating cheese! 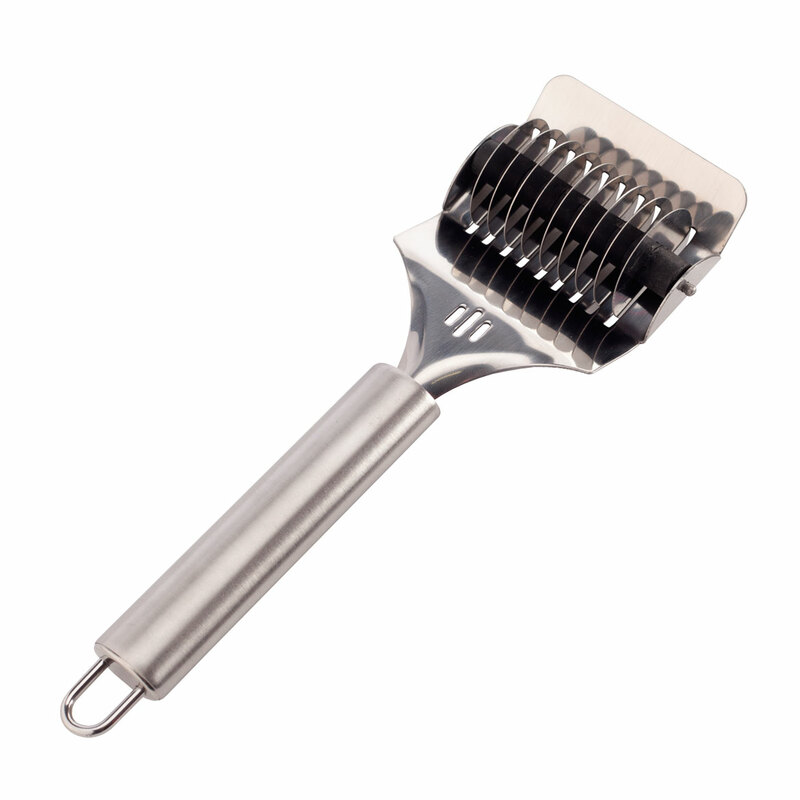 The hand grater features two interchangeable stainless steel blades—one for coarse shredding and one for fine grating. Simply place your favorite cheese in the container, turn and press the black top twister, and perfectly grated cheese comes right out for tacos, omelets, salads, pasta, chili and more. 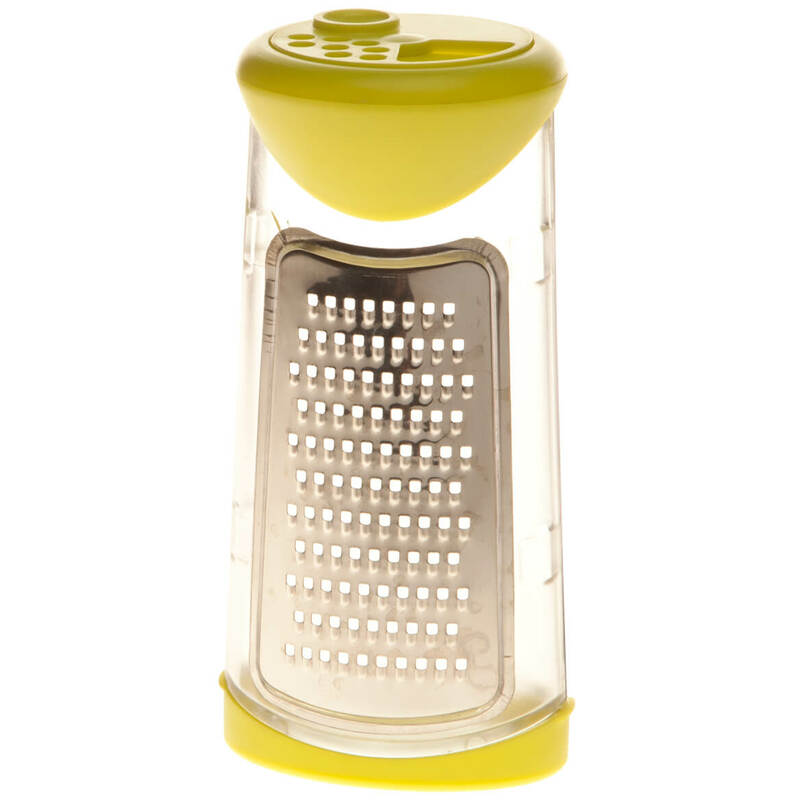 Lightweight, sturdy and designed for lasting durability, this food grater includes a handy storage cup to keep cheese freshly stored in the fridge. Dishwasher safe. 5 1/2″ L x 3″ W with 3″ dia. blades. Transforming vegetables into long, “noodle-like” spirals, this handheld spiral slicer makes it easy to enjoy carb-free veggie pasta, spectacular salads, stir fries, juliennes, garnishes and more. Simply insert firm vegetables like carrots, cucumbers, potatoes or zucchini into the spiral cutter’s plastic cone and turn. 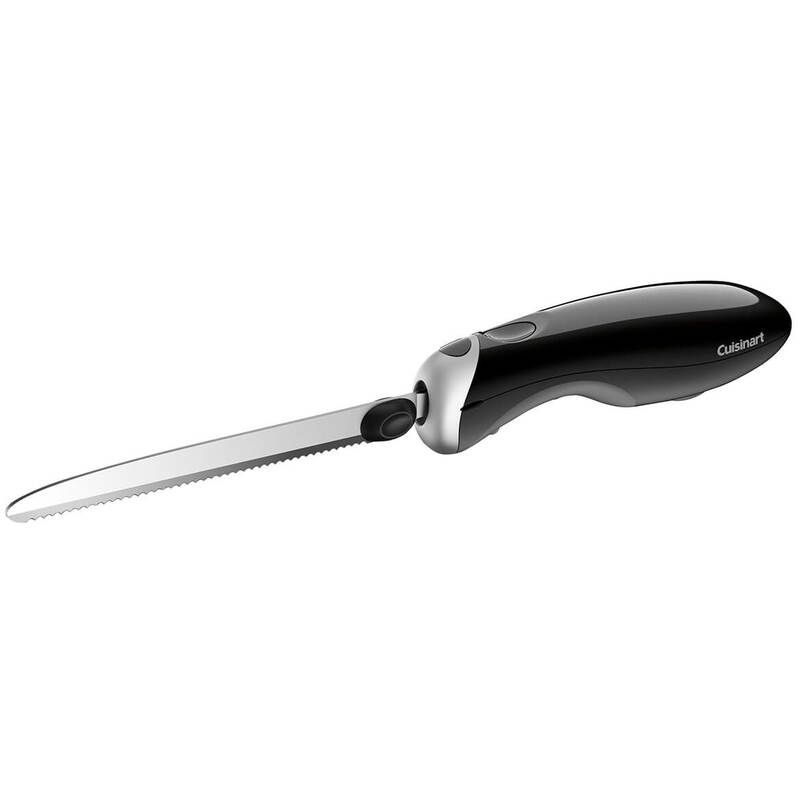 Two handles offer a firm, comfy grip while stainless steel blades cut quick, fancy spirals. Dishwasher safe. Vegetable slicer measures 2 3/4″ high x 3″ dia. Featuring 4 different graters for multiple uses, this handy graters set includes just the right tool for any grating task. The hand graters feature stainless steel blades and durable, plastic handles in 4 different colors. 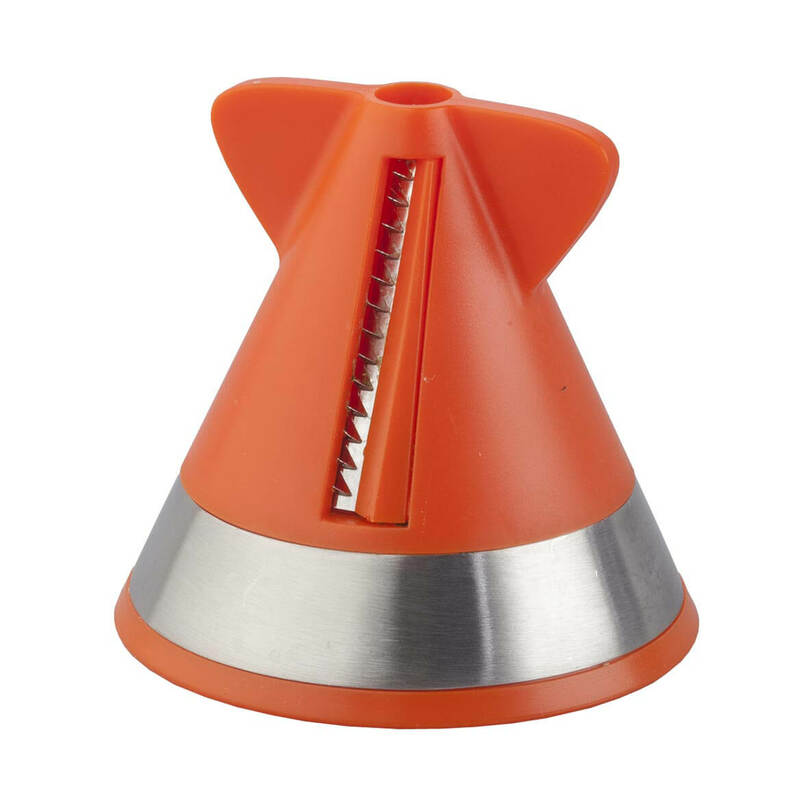 The orange grater’s slots are perfect for slicing potatoes, zucchinis, cucumbers and more. The red grater’s standard large holes easily shred hard cheeses, carrots and onions. The blue grater’s medium size holes render smaller or finer shreds, perfect for hash brown potatoes and hard cheeses. 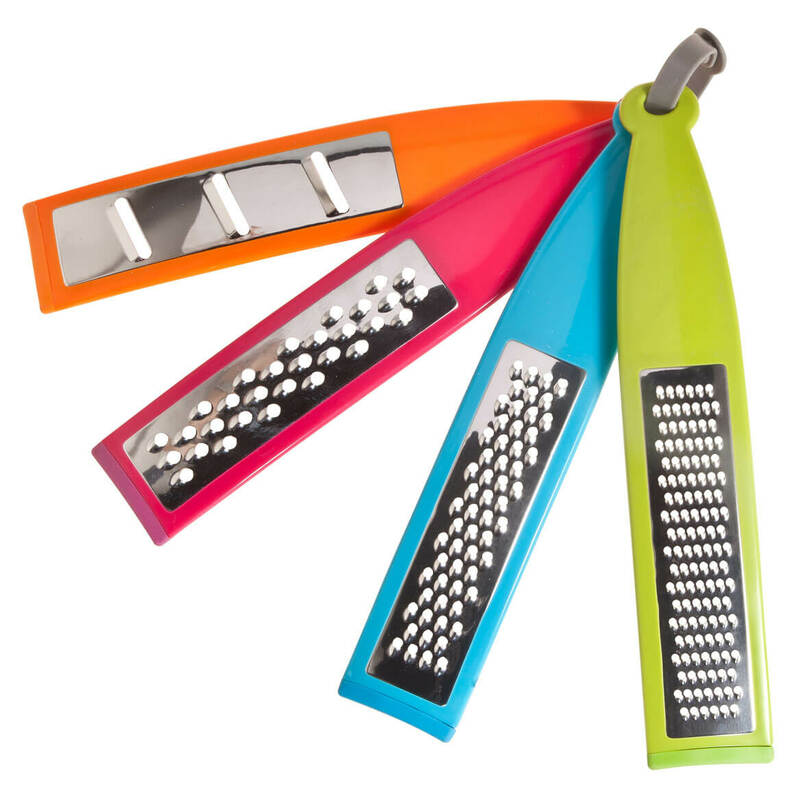 The green grater’s tiny fine blade is perfect for zesting lemon, garlic, ginger and hard cheeses, The set of 4 kitchen graters includes a plastic strap for storage together in the drawer or hung on the wall for easy access. Each 12″ long x 2 1/4″ wide. Entirely designed in durable stainless steel, this stainless steel herb mincer’s sharp cutting blades quickly chop delicate herbs without bruising. Simply roll over herbs on a cutting board and gather them up to add fresh gourmet flavor to soup, pasta, pizza, sauces, salads, vegetables and more. Great for mincing parsley, basil, thyme, sage and more, its smooth rounded handle offers firm, easy grip. Herb cutter features a hanging loop for easy storage. Hand wash. Herb slicer measures 8 1/2″ long. 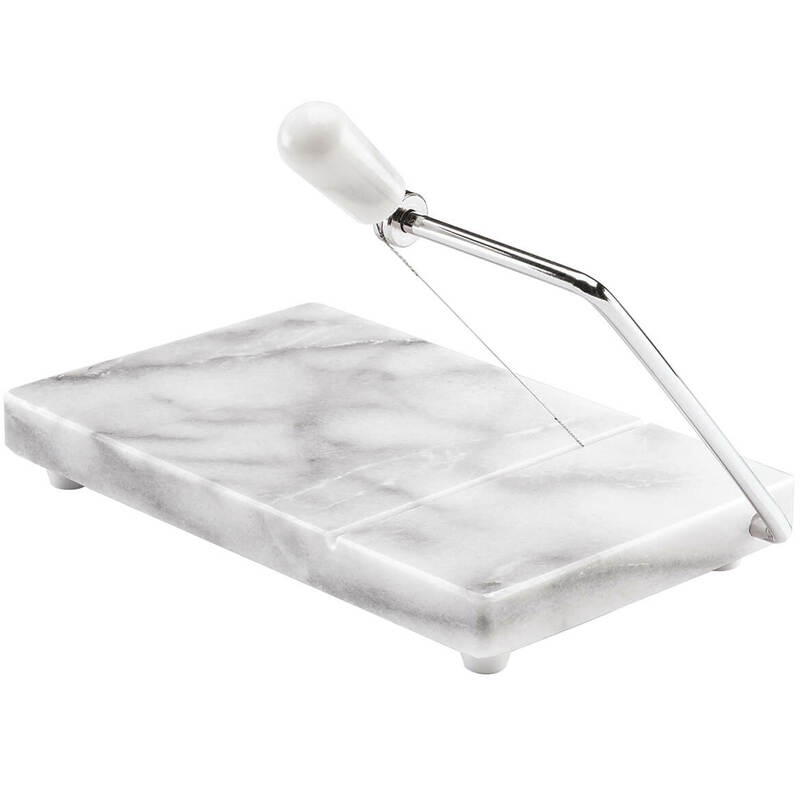 Slicing your favorite cheese to perfection, this marble cheese slicer serves up neat, uniform pieces for snacks, sandwiches, or party trays. Smooth marble surface of cheese cutter is non-toxic, easy to clean, and won’t harbor bacteria or residual tastes. Features stainless steel cutting arm, four rubber feet, and extra wire. Marble cheese cutting board is 8″ long x 5″ wide x 1″ high. 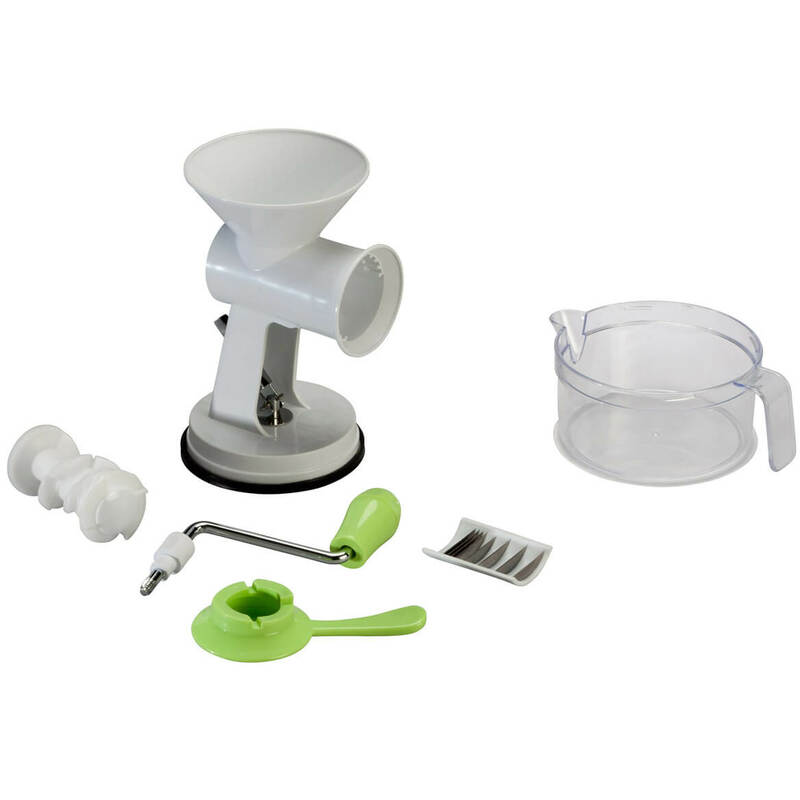 Whether preparing ham spread, cream soups or your famous meatloaf, this hand-crank meat and vegetable grinder makes prep work easy—grinding fresh meat and veggies to perfection! 8 1/2″ high manual food grinder includes 5 1/2″ wide x 5″ diameter suction cup base and 2 3/4″ high x 5 1/2″ diameter food-catching bowl.